Well it's now September and you know what that means... yup! Warchild has to defend his crown now, so as before using a randomiser we have a new challenge. 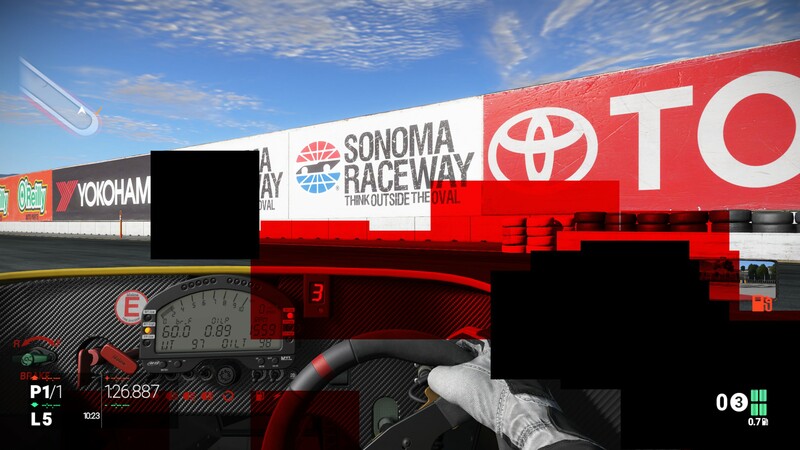 This time around we're doing Sonoma with a Radical so should be fun and full of frustrating moments with the tight turns, elevations and fast sweeping bends have at it guys and lets see who tops the board this month. 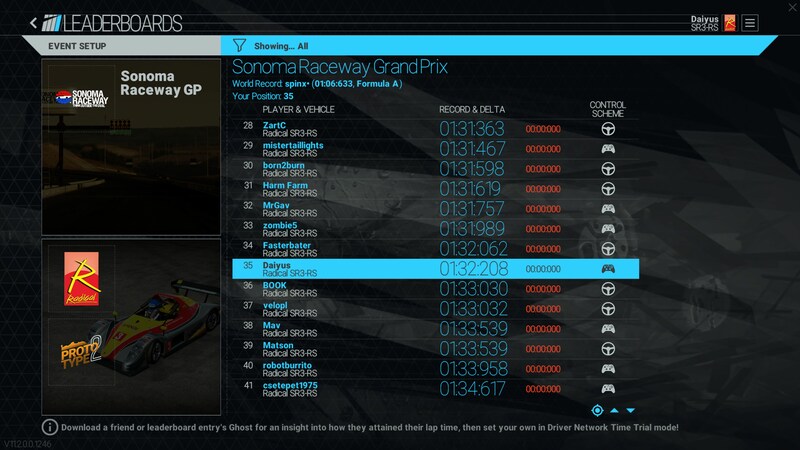 Use the car and track chosen for the challenge and post your times in the thread as a screen shot of the in game leader board, it's that simple. All valid times will be added to the main Lap Times board. Your challenge for the month of September through October is as follows Sonoma Raceway GP with the Radical SR3-RS. Best of luck, there are 55 people currently on the world records for this car/track combo with #1 setting the fastest lap at 1:25.498 so lets see who will be top by the end of October. Oh man, that car is quite a handful, especially on a track where gravity isn't exactly in your favour. But hmm, trying to run this with Steam Play and it isn't perfect. I try and find solutions to my problems. I am consistently inconsistent. Lots of room to improve yet but this is a fun track. Not sure I'll be able to participate this month. HAve to wait and see. Packing for a new apartment. Not great, but it's a start. The car is fun, and the elevation changes in the track are awesome. OK guys, so given the RTX on/off hype has now subsided we can get back to this challenge. I'm extending it until the end of October to give everyone one last chance to get a lap in. Awesome - I have two weeks holiday coming up and I'll be able to actually get some game time in. I'll still be rubbish though. Can't do a clean lap twice in a row. An easy trick which I do sometimes is to do a shake down. Drive slow and learn the corners. Then when your speed picks up, look at the gearing you are in when push the limit around each corner. That will tell you what gear is optimum for your setup. After that, its basically holding the race line, braking later while keeping that line and gear/speed up. Ideally you should never brake during a bend, but as soon as you pass the apex, you should be accelerating out of it. Managed to get in a 1.28.138 before I continue packing. Not a bad start.